I recently experienced an “Ah-ha! This-puzzle-piece-fits!” moment in my own life. It stemmed from a comment my teacher Jill Miller said in my recent teacher training with her. 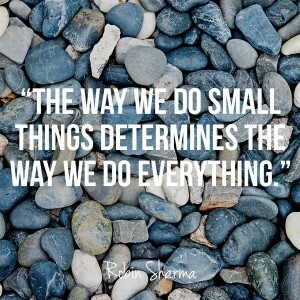 She stated, with conviction and a long pause afterwards to let it sink in, “The way we do one thing is the way we do everything.” Several students nodded in agreement and I agreed too. I mean, it sounded powerful and brilliant. However, I had NO IDEA WHAT IT MEANT! It was like someone pointed out a distant place on a map and stated “This, this place is amazing”, and I believed them, and I could feel that it was meaningful and deeply impacting on them, knowing full well that I may never get to that particular place on the map myself. Fast-forward a few months and I continue to hear this particular phrase uttered by other teachers and even see it hash-tagged quite a few times. “What does that even bleeping mean?? ?” To my surprise, I was about to find out for myself. It started, not on my yoga mat, but on my couch! I started a new knitting project. I dub myself a “seasonal knitter” because when the leaves begin to turn, I turn to find my knitting needles. So I’m busy knitting away on a beautiful new project, being careful to count my stitches, to keep track of my rows and my place in the pattern. A few hours into the project, I noticed that when I joined the project to knit in the round, I twisted it. For those of you who knit, you know that there is no fixing this and you have to start over. For those of you that don’t knit, it basically means you were F*%$ed from the beginning AND you have to start over. I didn’t. I convinced myself it wasn’t necessary and that I could go on as it was. Then as the project really began to take shape I saw clearly that I couldn’t go on as I’d F*#%ed up. Still, I convinced myself that I could make it work and that I already had like 7 hours into this thing there was no way I was going to begin again. Why did I knit anyways? This is stupid, right? I mean who knits for 7 hours to get 4 inches done (sorry knitters – this is my process…every damn time) Then like a flash “the way we do one thing, is the way we do everything” popped into my mind. Oh. My. God. I got it. I totally got it now. The way we do one thing, the way we create the story and then convince ourselves, the way we try to avoid the messy part by side-stepping our integrity and being true to the path (or the pattern). This phrase, suddenly had very personal meaning to me. Brene Brown, author of The Gifts of Imperfection, talks about how knowledge isn’t knowledge until it’s a personal experience for us. It’s like finally visiting the place on the map to see it for yourself. The experience of which will be different for each one of us. I shared this particular phrase with a dear friend over tea. She looked at me and was like “yeah…. no. That doesn’t mean anything to me.” Then she took it here: “Do you mean the way I poop is the way I do everything?” We laughed and then both got real quiet as we both pondered that for a moment. Then I went on to share my “Ah-ha” moment with her. We sat in a long, reflective silence and I pondered the journeys in my past, following the trail of how I have done and currently do things. “Damn” she said. I could tell by the look in her eyes that she got it. I can’t get this phrase out of my head as I’ve experienced the “belief busting” moment. I can no longer look at the way I do things the same. I ripped out my knitting and started over. I noticed it was twisted. I started my knitting over… again. I also realized that this is why I knit – because it tests my patience requires persistence and in the end, the payoff is creating something beautiful for someone else to wear and enjoy. 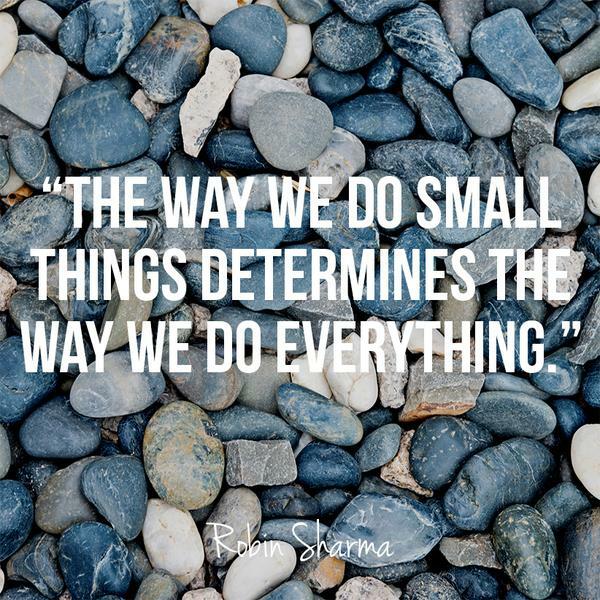 The way we do one thing, is the way we do everything. We want to hear from you! Our studio is full of inspiring conversations on a daily basis. Please join us on Facebook to share your thoughts and comments! Where in your life have you experienced an “Ah-ha” moment? What is your creative process for hashing out the inner workings of your life experience? Is it knitting, journaling, painting, singing, dancing…?